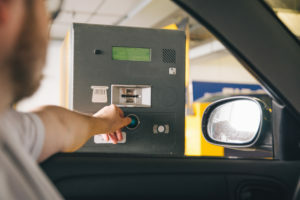 If your organization operates a parking access control system (PARCS) to manage parking inventory and availability, you made a hefty investment. So, it may be disconcerting when you realize your facilities are still losing revenue. Just because you have a PARCS system doesn’t mean you’re getting accurate parking occupancy counts in your garages and lots. And if you don’t know how many open spots you have at any given time, you’re most certainly losing revenue. Many parking facilities rely on inductive loops to count vehicles as they enter and exit. Loops are expensive and inconvenient to install and replace – and they’re not always accurate. When doubtful of occupancy counts, parking operators resort to gate audits and receipt reconciliation to determine their true parking availability. If you’re one of them, you know that manual counting uses up resources, and doesn’t guarantee you’ll get greater accuracy. Or perhaps you’ve purchased a license plate inventory system, adding more expense and tying up personnel. In the end, you have to adjust your counts, which leaves a large question mark looming overhead… Just how many cars are you losing? Without accurate availability counts, you can’t guide customers to open spaces efficiently. With each decision a customer must make to find a suitable parking space, it’s taking longer to park, increasing frustration and decreasing satisfaction. 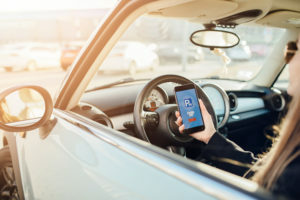 It can be tempting for some employees to pocket parking fees here and there, and without the certainty of the number of vehicles in your facility at any given time, it’s difficult to know just how much revenue is being lost, and on what day or time of day it occurs most. Parking owners also report that their management company’s employees have been known to open exit gates near closing time to let customers out faster. That’s a scary thought —you have no idea who’s leaving or how much revenue is driving through the gates. With an open, SaaS software and LIDAR sensor parking availability and guidance solution, you can have greater than 98% accuracy levels – the highest in the industry. 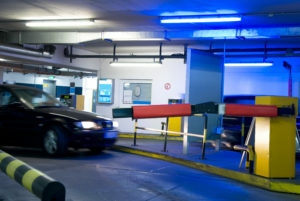 A sensor counting system can activate your gates just as those unsightly loops can, but unlike loops, sensors continue to count vehicles even with the gates up. So next time someone decides to lift the gate to let vehicles out faster, you’ll know when it happened and how many vehicles passed through. Not every situation calls for parking occupancy counts by individual space. You might need that granular data for your garages, but you may only want zone counts for your parking lot. Find a vendor who will work with you to configure the most cost-effective solution using the appropriate sensors for each environment, floor surface and the indoor/outdoor climate. Discuss the degree of counting specificity you need – by facility, level, zone, row or space. Then choose magnetometers, cameras, radar or ultrasonic depending on need and budget. With an open platform and SaaS software, your vendor should be able to integrate the equipment you want or already have, so your options will be pretty much limitless and you’ll have real-time data for accurate guidance and reporting. 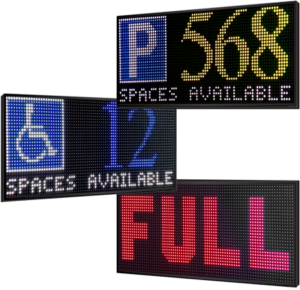 It should be seamless to integrate real-time availability data, with not only your PARCS and other parking systems but with variable signage, indicator bollards and pucks, parking apps, your social media accounts and website, to increase customer satisfaction and revenue. Rev up your ROI with Open SaaS software and a LIDAR sensor parking availability solution. For information on ATS ParkingCloud availability and guidance solutions, contact us now or visit our webpage.